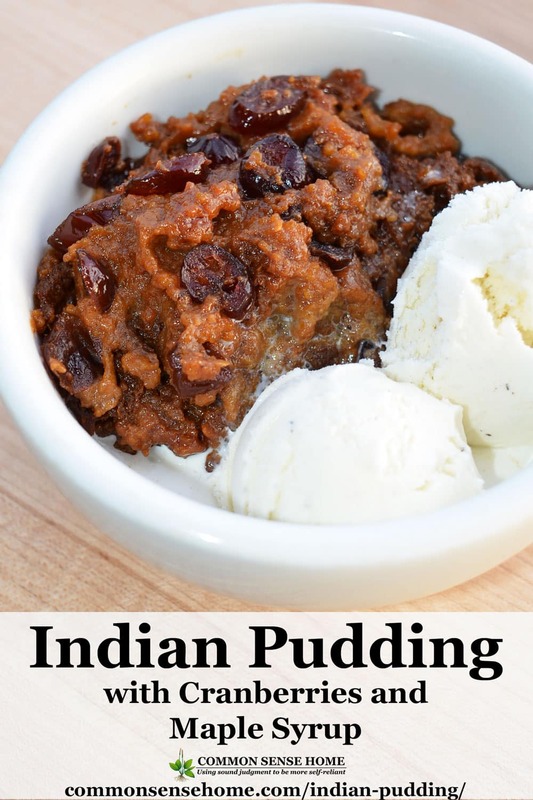 I've been curious about Indian pudding for years, since I'd heard about it but never tried it. (It's not something you normally see on the table here in Wisconsin.) 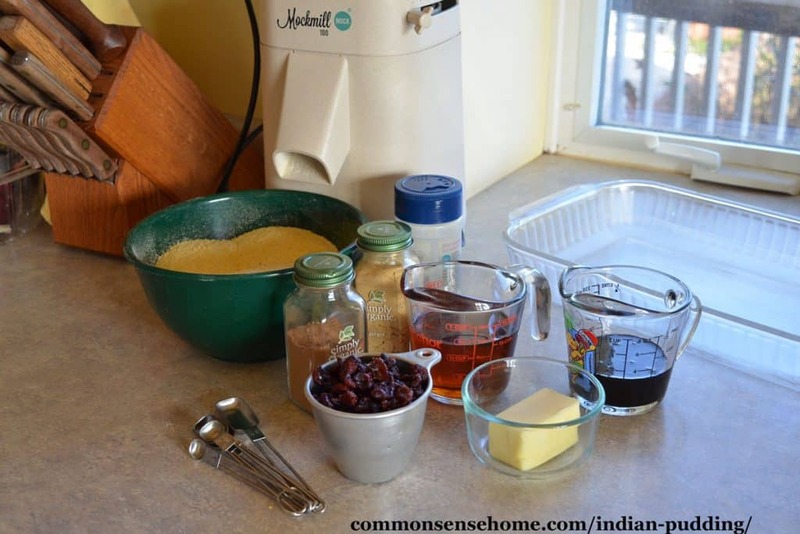 In this post I'll share a couple of Indian pudding variations, and provide a little history on the dish. Most recipes I've seen specify eating the pudding warm, but I found the leftovers quite tasty served cold with a little milk. It reminded me of baked oatmeal, except, of course, with a cornmeal base. If you think your leftover pudding may last more than a day, it's probably best to refrigerate them. What is Indian pudding made of? 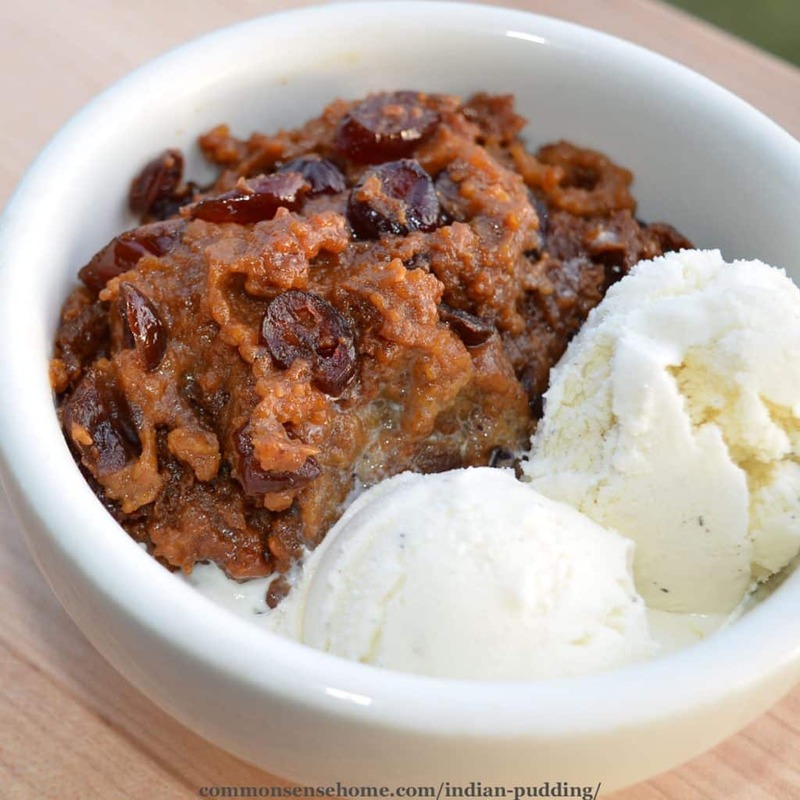 Indian pudding at its most basic is cornmeal cooked with milk and molasses. Modern versions often include a variety of spices and dried fruits, and sometimes eggs, butter or other fats. When is National Indian Pudding Day? Yes, there really is such a thing. National Indian Pudding Day is November 13th – just in time to enjoy the harvest season and fire up the cook stove. Lower heat and add remaining ingredients. Cook for a few more minutes, stirring continuously, until all ingredients are heated through. 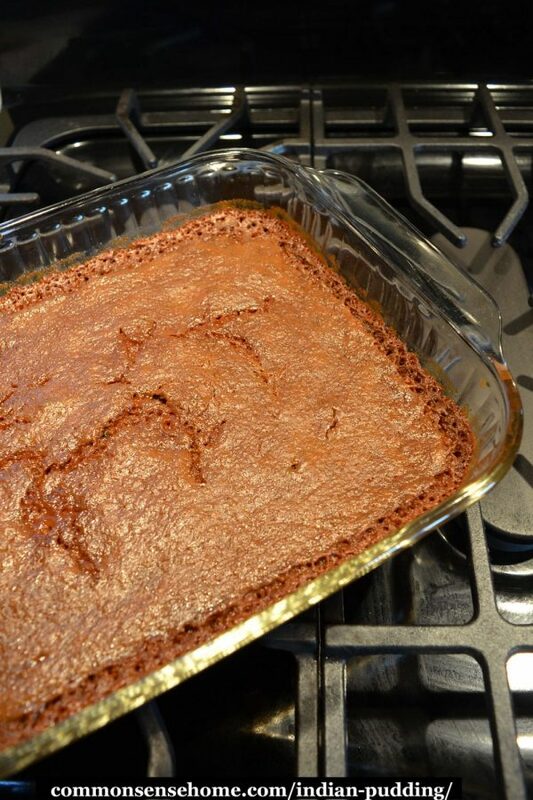 Pour mixture into buttered 9″x13″ baking dish. Bake at 300°F for two hours, until pudding is set. 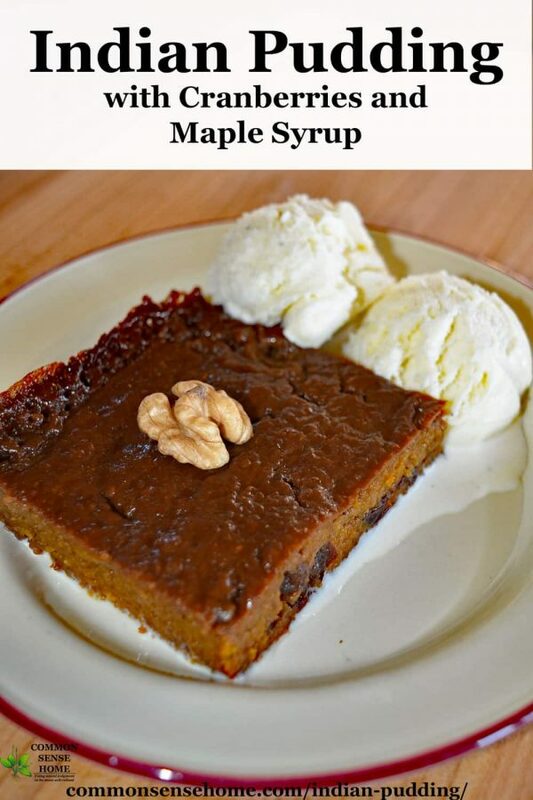 Serve warm with whipped cream or ice cream, or allow to cool and slice and serve with milk (or topping of your choice). Pioneer recipe with a modern twist. Enjoy this hearty pudding hot or cold. Originally posted in 2017,updated in 2018. Indian Pudding is yummy! If you ever have the chance the restaurant Durgin Park located in Faneuil Hall in Boston has it on their daily menu. Traditional New England fare in a traditional New England location. When I’m fixing cooked cornmeal, grits, or cream of wheat for breakfast, I start with 50:50 COLD water & milk, salted and with a lump of butter, stir the grain into that, then gradually bring it to a boil, stirring gently. By the time it boils for 30-60 seconds, it’s thick and done! The milk doesn’t scald and scorch in the pan before I can even add the grain, and the grain doesn’t clump and get lumpy as it cooks, from being dumped in too suddenly. 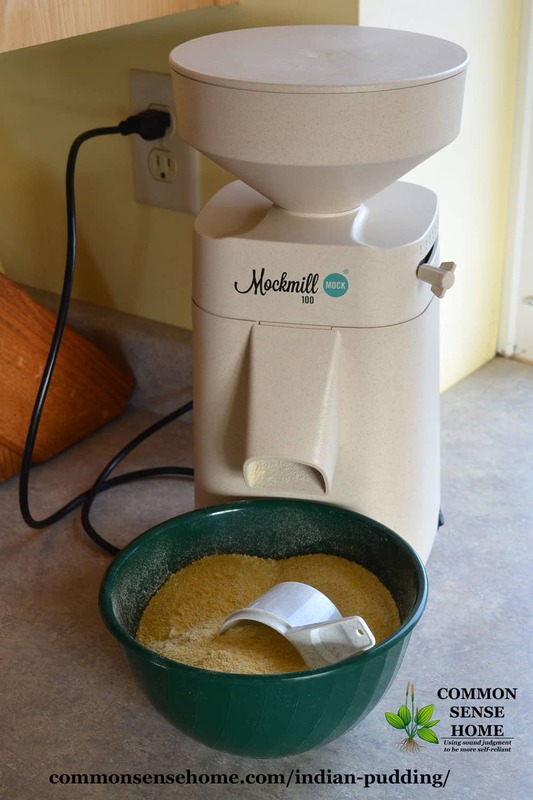 I also like to mix cornmeal and cream of wheat 50:50 to blend their flavors in my cooked cereal. I don’t even add sweetener to it anymore, preferring the buttery, slightly-salty flavor, with added milk to cool the boiled cereal to eating-temperature.